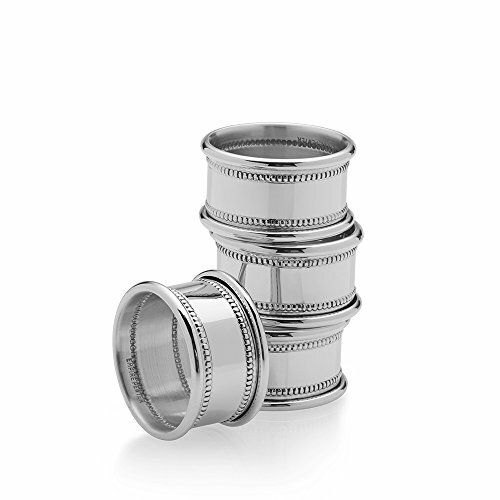 Decorate your dining table with this Empire Silver Set of 4 Beaded Napkin Rings. These pewter napkin rings are lovingly hand-crafted into a beautiful accessory for your linens, making them both classic and timeless, and harmonizing with all decors. Made in America. Napkin ring measures 1-7/8 inch diameter x 1 inch tall. If you have any questions about this product by Empire Silver, contact us by completing and submitting the form below. If you are looking for a specif part number, please include it with your message.